Kenny Nachwalter, P.A. has a national reputation for excellence in antitrust law. In a 2010 survey by U.S. News & World Report, the firm received a national tier “1” ranking. 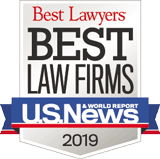 Kenny Nachwalter, P.A., is recognized among the leading complex business litigation firms in Florida and the United States. The digital age and the Internet have introduced new challenges in the ongoing battle to protect the rights of the originators and owners of intellectual property. Investment decisions do not always bring about the intended result. When that happens, investors often look to hold others responsible for their losses. 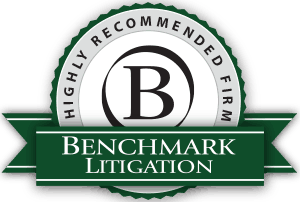 Kenny Nachwalter is a litigation and trial firm handling a wide range of complex disputes in federal and state courts, as well as arbitration, throughout Florida and nationwide. For more than three decades, the firm has enjoyed a national reputation for excellence in complex business, professional liability, and antitrust litigation. Clients turn to Kenny Nachwalter to manage and solve their most challenging legal problems as plaintiffs and defendants. The firm is routinely retained in bet-the-company cases on the defense side, and cases involving substantial amounts in controversy or compelling business problems on both the defense and the plaintiff’s side. The firm’s lawyers are comfortable in the courtroom, and are occasionally called upon to appear and try a case after other lawyers have completed discovery. Our cases typically involve complicated economic and factual issues, multiple parties, multiple interrelated matters, and other substantive issues requiring superior legal scholarship and forensic skills. Firm lawyers have demonstrated expertise in a wide range of practice areas in the broad realm of Complex Business Litigation, including Antitrust, Securities, Professional Liability, Director and Officer Liability Defense, and Intellectual Property Litigation. The firm is headquartered in Miami, Florida but has a national litigation and trial practice as illustrated by our Firm National Practice Map. We welcome you to learn more about the firm and our attorneys.